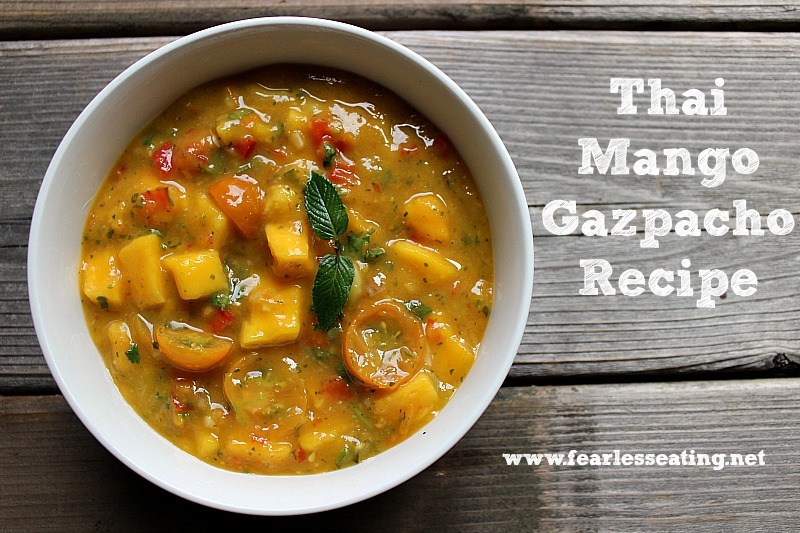 The idea for this Thai mango gazpacho recipe came to me a few weeks ago when I was making a chilled Thai watermelon and mint soup. I’m not one for cold soups but as we were in the middle of a heat wave, it was so perfectly refreshing that I thought to myself, hmmmm, what else could I make as a cold soup? A Thai version of a mango gazpacho seemed like such a natural fit. Juicy mangoes, fresh lime juice, aromatic Thai basil and mint, mildly spicy jalapeno peppers, sweet sun-ripened cherry tomatoes, and of course, a sweltering hot summer day seem like a match made in heaven. Strangely, I never once saw this dish in my travels in Thailand. I’ve certainly never seen it in a Thai restaurant in America. Perhaps even more strangely, a quick google search turned up hardly anything. 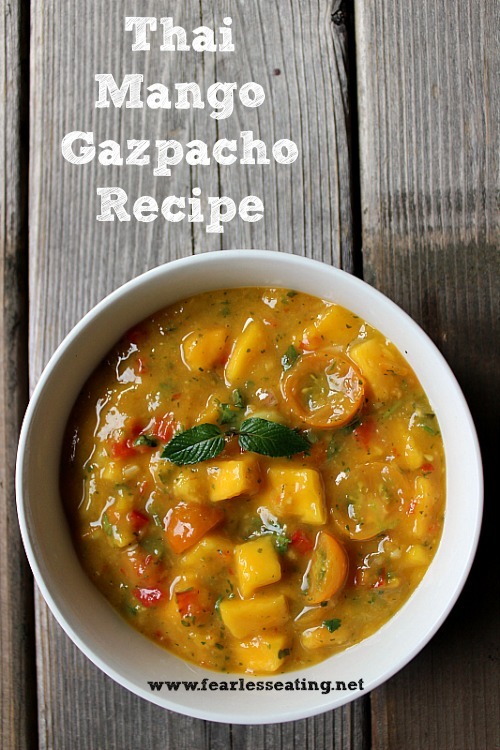 Traditionally gazpacho originates from Spain, but with all mixing and merging of cultures and cuisines in recent history, surely a mango gazpacho would’ve taken hold in Thailand somewhere, amiright?! After all, the fiery hot chilies so associated with Thai cooking actually originated from Portuguese navigators many centuries ago. Maybe it is a thing somewhere in Thailand, I don’t know. But here’s what I know for sure. It’s now a thing for me. This recipe will become a staple in my life in the hot summer months for sure. It’s also included in my new book, The Thai Soup Secret, which of course, includes this recipe. If you love Thai food and would like to learn to make 40 simple, healthy, Thai soups, just click here to learn more. This refreshing Thai mango gazpacho recipe consists of lime juice,Thai basil, mint and tomatoes and makes for a perfect cold soup on a hot summer day. Peel and slice the mango into bite-sized pieces. Combine all the other ingredients with the mango in a mixing bowl. Take about half of the mixture and blend it in a blender, food processor or Nutribullet until smooth. Mix in the remaining half for a chunky consistency. For a smoother consistency, blend the entire mixture together. The consistency is totally up to you. I like big large chunks of sweet, juicy mango! Serve immediately or chill in the fridge for at least an hour or so. Season to taste with fish sauce, lime juice, mint, Thai basil or chili flakes. Peeling mangoes can be a messy process as they have so much juice and an annoyingly large pit. This mango peeler on Amazon could be a nice addition to your kitchen if you use a lot of mangoes in other recipes! Get More Thai Soup Recipes! 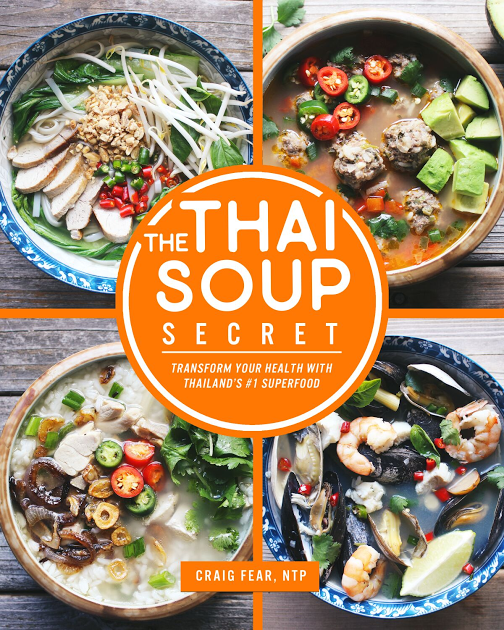 As I mentioned above, my new book, The Thai Soup Secret, is now available. 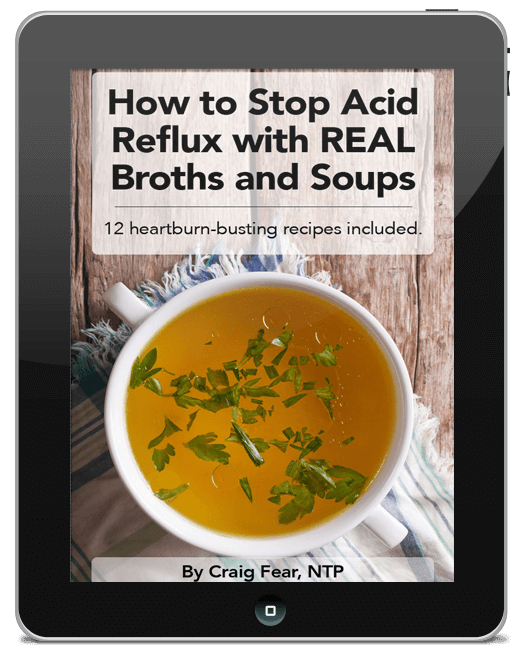 All of the recipes are gluten and dairy-free and can help a wide range of digestive ailments. It includes a mix of classic Thai soups like tom yum and tom kha as well as many other unique fusion recipes like this one. 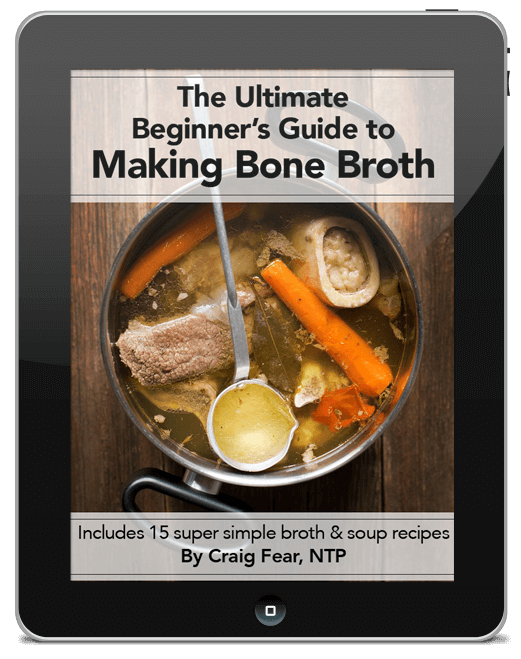 Click here to learn more and download a copy of The Thai Soup Secret.